Let me just say, I love the business of wholesaling houses! You can make quick cash with no risk; little or no money and you do not need good credit. It is the ideal strategy for new investors. When you are just starting out it is common not to have a lot of money to invest. Finding creative strategies for buying properties is a must. Unfortunately, when you are a “newbie”, this is the exact time that you also don’t have a lot of knowledge about real estate investing. So, where do you begin? I believe that the very first thing a new real estate investor should do whatever their strategy, is to join their local REIA group. REIA stands for Real Estate Investors Association and you can go online at http://www.nationalreia.com to find a group in your area. My group, the Kentuckiana Real Estate Investors Association, is where I have gotten much of my education. This is where you should begin your learning experience. My local real estate investors group has held 6-8 week mentoring sessions for folks that are new for several years. One of those sessions was always on wholesaling houses. It is a wonderful way to get an overview of all of the different ways to make money as a real estate investor. After you have successfully purchased your first wholesale property, you will need to sell it quickly. This is probably the scariest part for a new investor. When you are new to wholesaling, you can be terrified that you won’t find a buyer for the house before you have to close on it. Building your buyers list will become one of your top priorities. This brings me to another thing I love about wholesaling houses. You have a “supply” of buyers built into your local REIA group. You will find rehabbers, landlords, contractors and other folks that are looking for houses. I have bought and sold a lot of houses within this group. In time, you will begin to learn which areas and the types of houses individual investors’ area looking for. When you have a house to wholesale that meets their specifications, you can give them a call. With a little luck, your house will be sold! One day you will look up and realize that you have a “buyers’ list”! I can assure you that will be an exciting day. Another thing you can do at your REIA meetings is to put out a flier asking for investors to be put on your buyers’ list. Make up a simple form asking them such things as what areas they buy in, the types of properties they are looking for, the amount they want to spend etc. One question that should always be on this form is. “Are you a cash buyer?” The answer of course, should be yes. 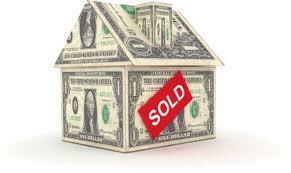 Wholesaling houses for quick profits allows you to put big “chunks” of cash in your pocket without spending a dime. Check back for more tips on building a successful wholesaling business. ← What Is Holding You Back From Your Dream?